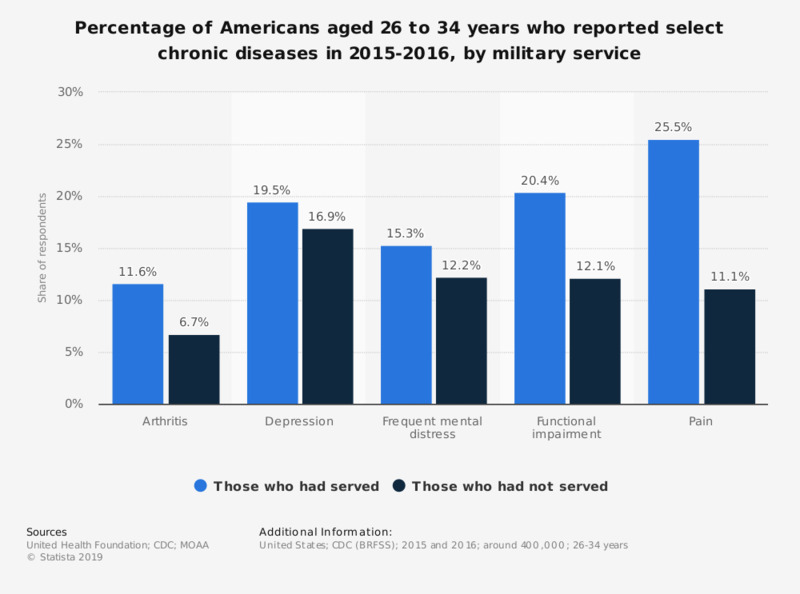 This statistic shows the percentage of those aged 26 to 34 years who had select chronic diseases as of 2015-2016, by military service. It was found that 11.6 percent of those who had served in the military suffered from arthritis compared to 6.7 percent of those who had not serve. Data do not distinguish between those currently serving and those who have been discharged, the nature of discharges, involvement in active combat, or the era in which one served.